Dolphin cognitive capabilities have been explored by investigating their neural anatomy, their social behavior in the wild, and by analysis of their complex vocalizations used for communication and environmental perception. After a brief introduction to dolphin hearing, sounds, and neurophysiology, and an even briefer discussion of sound propagation in the ocean, an analysis is given of some representative vocalizations. It is also shown that Mathematica offers a tool for easily synthesizing dolphin-like sounds that could be as basis for constructing a pidgin type language for human-dolphin communication. This talk was given some time ago but remains relevant. 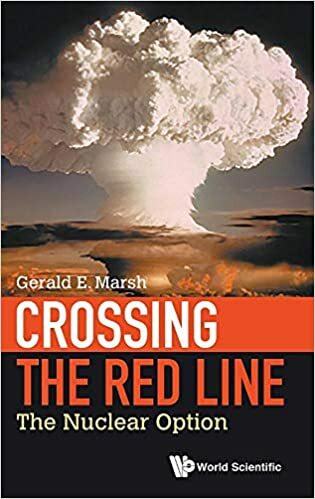 This book addresses the incentives to develop nuclear weapons, what it takes to do so, and some of the technical aspects of nuclear and ballistic missile programs. It uses the North Korean program as an example. It also addresses the associated policy issues. To read the front matter through Chapter 1, click on the link below. This book is an attempt to show the majesty of the immense journey from the coming into being of the universe to the emergence and evolution of life. While it begins with the birth of the universe and the subsequent formation of the matter making up the stars and planets, it is the four and a half billion years since the formation of our sun and its planets that are the main focus of the book. Part I covers the coming into existence of the universe; Part II the beginning of life on the early Earth; Part III the emergence of consciousness and intelligence; and Part IV, the immense journey of the universe beyond Earth. Part V addresses the problems raised by the emergence of higher-order consciousness in human beings as captured by the phrase “the human condition”. It has been suggested that the north-polar hexagon found on Saturn is an unusual Rossby wave. If this is to be the case, one must not only explain how a Rossby wave can be hexagonal in shape, albeit with curved corners, but also why it is hexagonal rather than in the form of some other polygon. It is likely that a spectrum of Rossby waves with different amplitudes and wavelengths resulting from the velocity profile of the hexagonal jet is responsible for its shape. 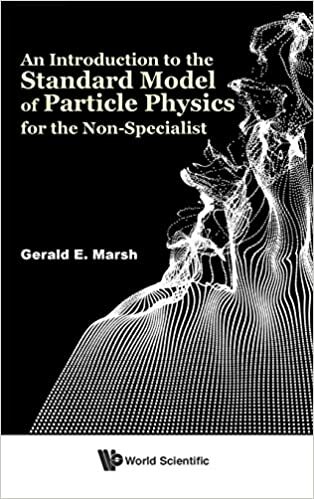 This book takes the reader from some elementary ideas about groups to the essence of the Standard Model of particle physics along a relatively straight and intuitive path. Groups alone are first used to arrive at a classical analog of the Dirac equation. Using elementary quantum mechanics, this analog can be turned into the actual Dirac equation, which governs the motion of the quarks and leptons of the Standard Model. After introduction to the gauge principle, the groups introduced in the beginning of the book are used to give an introduction to the Standard Model. The idea is to give an Olympian view of this evolution, one that is often missing when absorbing the detailed subject matter of the Standard Model as presented in an historical approach to the subject. If the US and Japan could make it clear to China that the consequence of inaction would be a nuclear armed Japan that might be an adequate incentive. Weinberg’s lament is the rather gloomy conclusion that the existence of the universe, and of intelligence in particular, appears to have no meaning. This essay explores the epistemological basis of this lament. The climate modeling community is confident that its models are adequate to be a basis for public policy decisions, despite the illegitimacy of ensemble averaging and the deficiencies with regard to the second law of thermodynamics. This site lists articles and papers in various subject areas. Below, you can search or view articles by category.